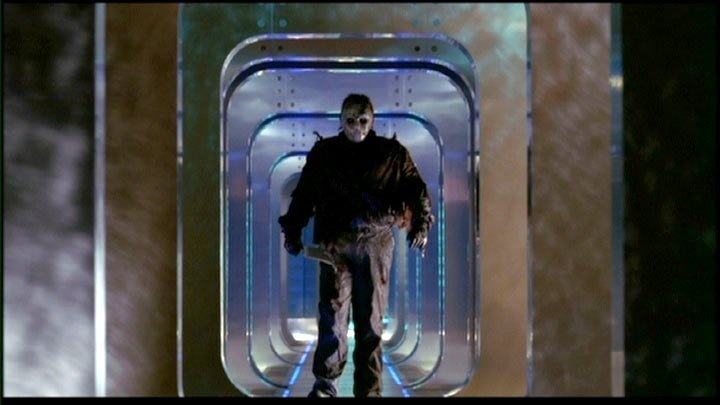 Released in 2002 Jason X marked the return of Jason Voorhees (Hodder) after nearly a decade of being away from the big screen. 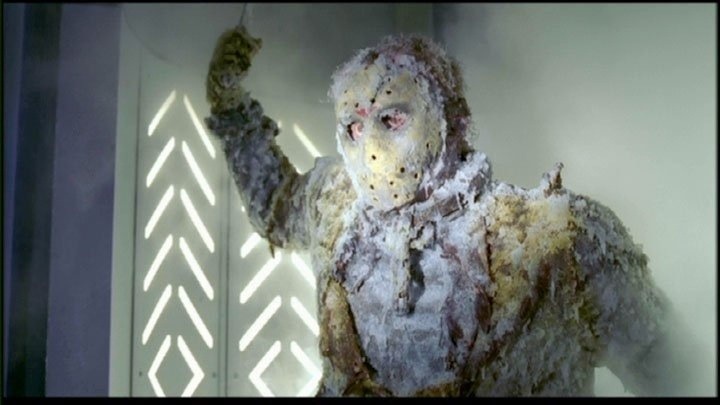 Since taking over the series with Jason Goes to Hell, New Line Cinema strayed from the Friday the 13th formula and did their own thing, which in my opinion were the weakest of the series. 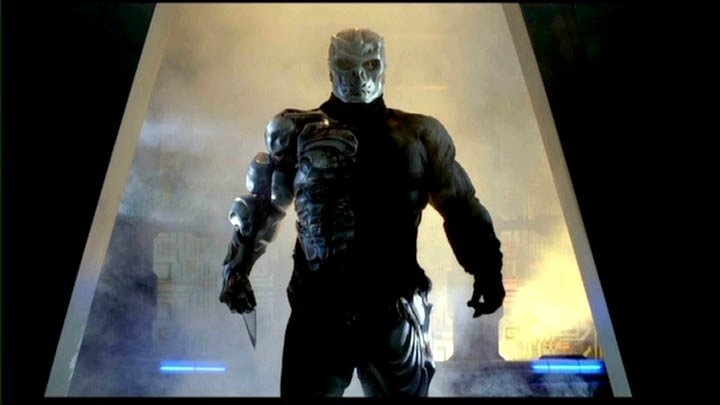 Of all the Friday the 13th movies Jason X is probably the worst and the only reason in terms of the franchise I might rate this higher than Jason Goes to Hell is at least Jason is in his own body, but in terms of films and ignoring the franchise Jason Goes to Hell while not great is far better than Jason X, but even a bad Friday the 13th film is bound to have some fun. It’s kinda weird to see the evolution of the series since by this time we’re so far removed from the original concept does anyone even remember the concept for the series? While the 2nd half of the Paramount series were different in style from the first half there’s still enough of a connection to link them, but with Jason Goes to Hell and than Jason X it truly is a new series and again its just weird watching the first couple and then watch Jason X since they may be part of the same series, but are so very different. Who knew back when these films started Jason would go from Crystal Lake to outer space in the year 2445? Jason Takes Manhattan doesn’t seem to silly now does it? When Jason X starts its already in the future as the year is 2010 (remember this came out in 2002). Not really sure why its 2010 since the year plays no part of anything in the film. Jason has been captured and will be taken to a research facility, but of course things don’t go as planned and Jason escapes and begins killing everyone in sight. 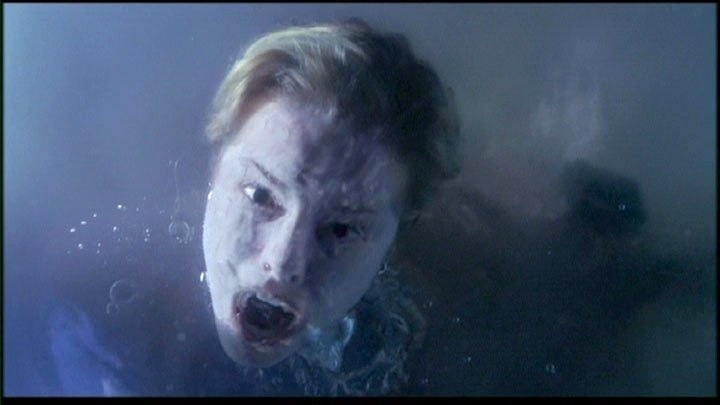 As Jason now goes after Rowan (Doig) she’s able to trap him, but she also gets cryogenically frozen along with Jason. Now in the year 2445 on an exploration of Earth (which is no longer habitable) the crew finds both Rowan and Jason frozen and bring them back on board they are able to bring Rowan back to life and of course Jason needs no help on that and soon Jason begins to dispatch everyone aboard the craft. The screenplay by Todd Farmer (My Bloody Valentine 3D) is silly in concept and Farmer very much plays up to that and never attempts at writing a serious film. I’m often surprised how many people take this film so serious and while sure the plot is absurd perhaps even for Friday the 13th standards the fact Jason drowned as a kid, but somehow came back and has been shot, stabbed, hung and set on fire (among other things) is just as absurd as the plot of Jason X. The script does create some decent characters with Janessa (Ade) and Kay-Em 14 (Ryder) and Brodski (Mensah) rating among three of my Friday the 13th characters the other characters have zero depth, but are also fairly entertaining. Even if the script turned out exactly how it was meant to be that still doesn’t make it enjoyable. When it comes to films like this people say it wasn’t meant to be good and no it wasn’t, but it was meant to entertain. There is a difference and most people seem to forget that. The script does have some really funny moments, but as a whole it was rather poor and at times felt a bit forced. The good thing is again Todd Farmer never attempts at making the script serious, but I really loved the first 4 and enjoyed the rest of the Paramount series, but I just can’t accept the direction New Line took with the series since its gotten way off track from the original concept, which the other sequels sort of did as well, but at this point nothing Farmer writes even comes close to any resemblance to the origins of the series besides Jason being an indestructible killing machine. Director James Isaac delivers a fairly entertaining movie that ends up being mostly lackluster in the end. The pace of the film at times does have a fun factor going for it at times, but for me the pace the majority of the time was a bit sluggish as the film never ends up as much fun as Isaac was going for. The production looks very much like something we would see on SyFy and while the deaths are good they are however brought down by some very poor CGI. Rather than direct this like a horror film, Isaac makes a movie that is far more sci-fi/action just like the script. While the film does every so often attempt some suspense it never really works and the film is served better when making it more action geared. Overall James Isaac delivers the film as it was intended, but it still again never ends up being as much fun as it was meant to be. 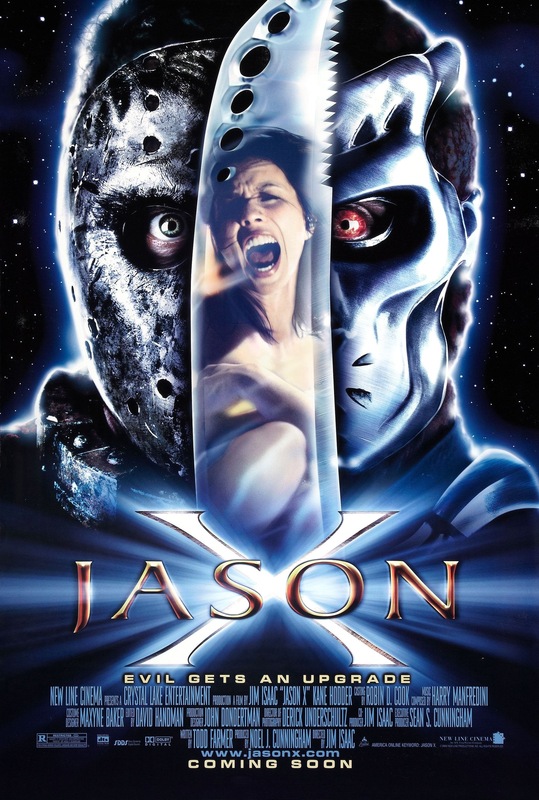 Jason X would become the lowest grossing of the series and its not difficult to see why and if not mistaken the film originally had a 2001 release, but was pushed back. I often wonder though had this film been a success if it would have spawned a new series? Freddy Vs. Jason would have happened no matter what. But I wonder if after that if the series would have resumed if it would continue from Jason X. In 2006 Black Flame Publishing put out a series of books based on Elm St., Friday the 13th and Jason X and if the Jason X novels were any indication on how the series would have gone thankfully it ended here. Despite my review I don’t hate this film and I do find it to be fun at times, but in general I mostly didn’t care. I still can’t stress how weird it is seeing how the series started to what it ended up becoming. Overall I think fans of the series will find something to like about the film since I did, but I still find it the worst of the series and like I said in terms of the franchise goes the only reason I would rate this higher than Jason Goes to Hell is at least it doesn’t change the Jason mythology. 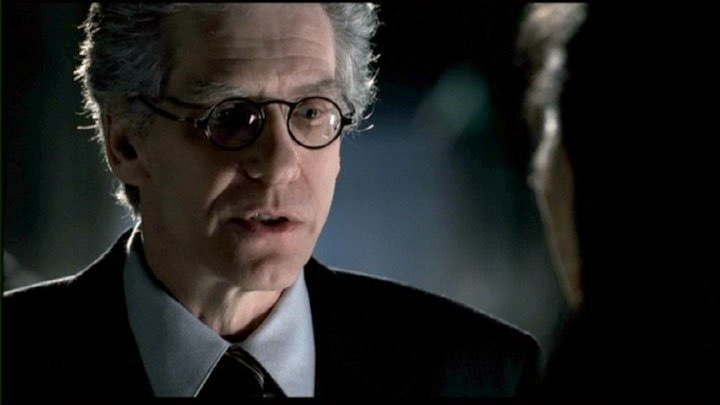 Filmmaker David Cronenberg makes a cameo and writer Todd Farmer has a supporting role as Dallas.